As promised this is the sweet foil to my savory entry in the previous post. 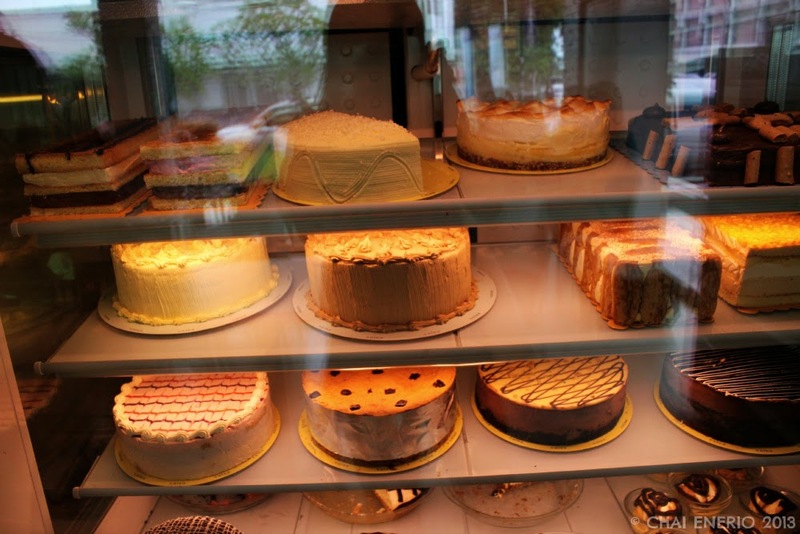 If I discovered savory delights in Bacolod, I also stumbled on the most luscious sweets. Our first stop was a little quaint cupcake shop in their downtown area. 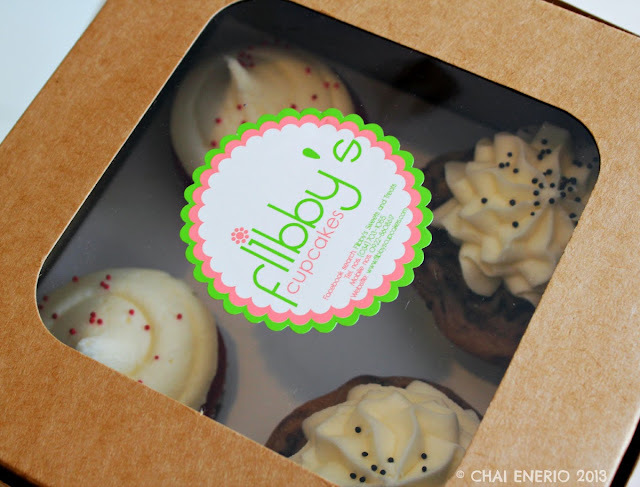 Flibby’s Cupcakes is a little family or rather sister business started by 2 enterprising siblings who shared a love of cupcakes and turned it into a business. When we got inside their little shop, it was decorated in light and pastel colors and had glass displays showcasing yummy cupcakes in all kinds of flavors. 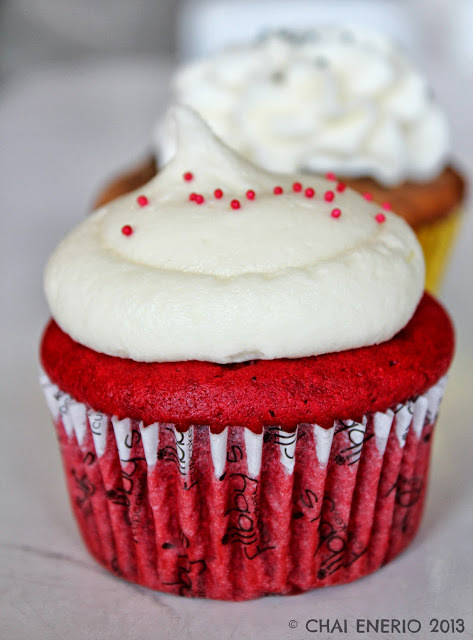 I was hooked and decided to order a cupcake staple – Red Velvet cupcakes. Red velvet is a very common flavor but I think you can distinguish a good cupcake maker with the kind of red velvet cupcakes that they make. This one was a winner. Luscious, fluffy and moist red velvet cupcake topped with a cream cheese frosting that was not overly sweet which complemented the cupcake so well. A delicious winner no doubt! Next up was their Chocolate Chip cupcake. Another light and fluffy cupcake topped with a big, crumbly and delicious chocolate chip before the frosting was applied on top. Absolutely delish! 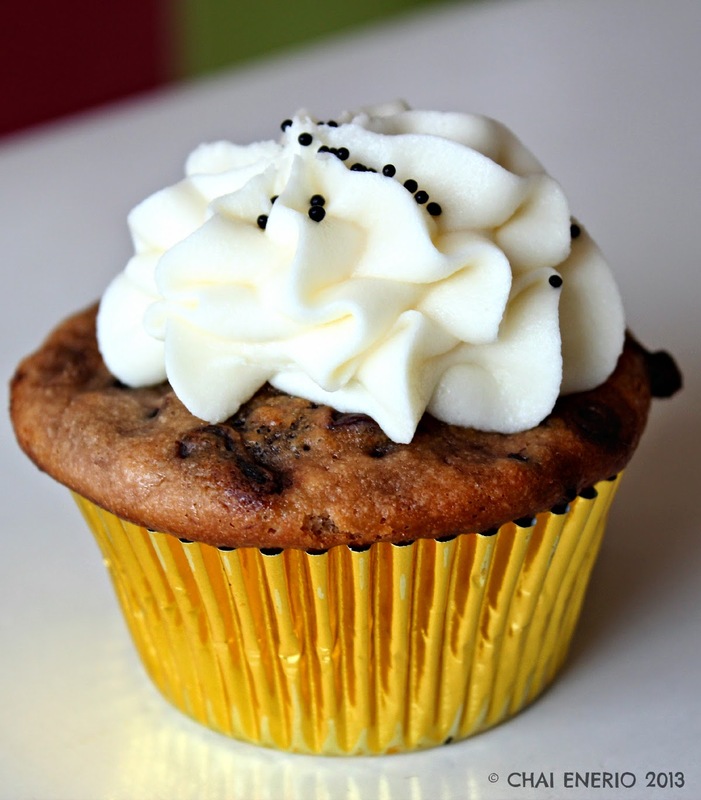 I loved how the chocolate chip lent another element in the cupcakes texture and again their frosting is just right. Now this is what I really love about them. I've eaten some cupcakes where the sweetness of their frosting was just so overpowering that I couldn't stand it. Finding that perfect balance of sweetness is for me an important factor in a cupcake and this is what I also try to perfect in my own kitchen. 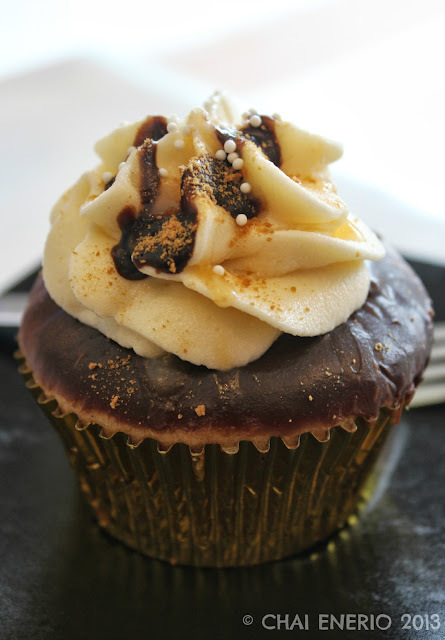 Last that we tried was their Banoffee cupcake dotted with gold flecks atop its frosting with the top of the cupcake coated with chocolate and a banana/coffee flavored cupcake underneath. Again it does not disappoint and overall I had a very amazing experience with Flibby’s and bought 4 cupcakes for everyone to try and their verdict was the same as mine – delicious on all counts. Good job girls! You’d think that after eating all those sweets that I’d give it a rest but of course no. 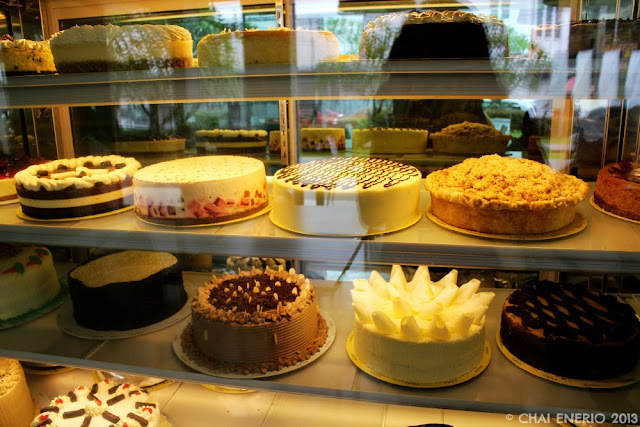 With the limited time frame I had and a very early morning flight the day after, we just went ahead to visit one of the premier dessert shops in Bacolod – Calea. A very ornate knocker greets before you enter the light blue and wonderfully aged doors of Calea. They seem to give that Mediterranean vibe to the place. Calea stands true to being a cake shop. 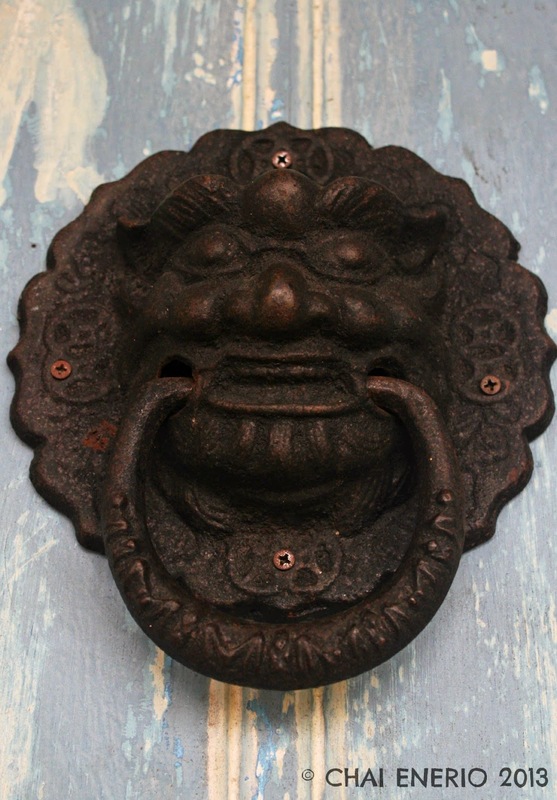 Once you enter those doors, different cake varieties greet you warmly. It took like a good 10 minutes of standing in front of those glass displays before I was able to make up my mind on what to order. I also made it a point to order a café latter since it sort of evens out the sweet indulgence of the cupcakes we had. Friend M told me that they have a great chocolate cake so we ordered their Imported Chocolate Cake. A compact and moist sponge cake filled with this delightful custard and iced with a nice rich chocolate. This cake was chocolate in every bite. I was so glad I ordered my coffee. 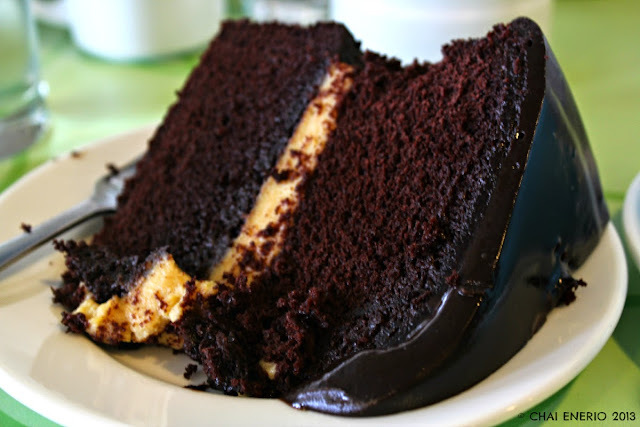 It was a perfect match to this decadent cake. I also got their Pecan Pie ala Mode. This was a super hit with friend M and I. The pie was loaded with big bits of pecan encased in a flaky pastry and topped with your good old vanilla ice cream. Perfect! The pie was not soggy. 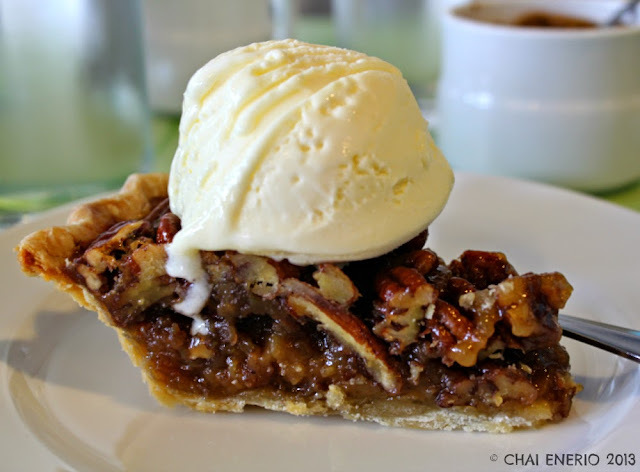 The pecans were lovely inside the pie and the ice cream was like the perfect match for the pie. 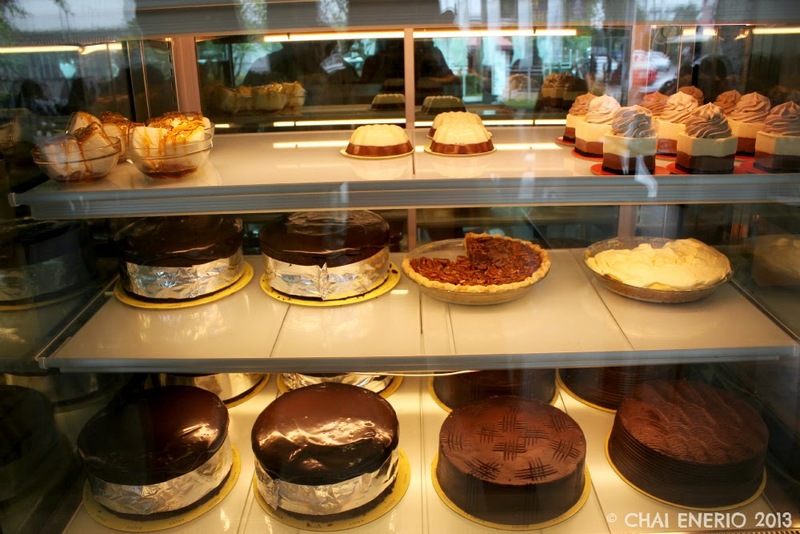 I am normally not a cake/pie person but I think Calea makes me want to be one. My 2 dessert stops were amazing and certainly more reasons to go visit the “City of Smiles” again! Thank you again friend M, H and C for hosting me during that weekend! I will be back soon!